Pollution is something harmful substances are added to the environment. Polluted water or garbage in the water bodies is a type of pollution. . It adds germs and viruses. There are these kinds of pollution: water pollution, air pollution, noise pollution, soil pollution and thermal pollution. Smoke coming out from a chimney is an example of air pollution. Air can be polluted by many things. Examples include poisonous gases, sulphur dioxide, nitrogen dioxide, carbon monoxide and very small particulates. Smoke and harmful gases released by fires, industries, and thermal power plants cause air pollution. Using coal and wood as fuels for fire cause a lot of air pollution. Petroleum produces less pollution per ton, but it causes a lot of pollution since a lot of it is burned globally. Air pollution may cause health problems such as asthma or other breathing problems. Air pollution causes global warming and acid rain. This makes it difficult for some living things to survive. Water pollution is the presence of harmful materials in water, such as sewage, dissolved metal, waste from farms, factories and crude oil spilled from oil tankers. 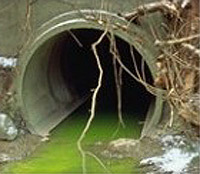 The three main substances that pollute water are nitrates from fertilizers, sewage and detergents. Activities such as bathing and washing clothes near lakes, ponds or rivers add nutrients like nitrate and phosphate into the water bodies.This leads to excessive growth of algae on the surface of water. It blocks the penetration of sunlight and air, thus reducing oxygen. It causes harm to organisms living in water and can also harm people's health. In extreme cases, it may cause diseases like cancer. Noise pollution also known as sound pollution is harmful to the brain and hearing of all animals and humans. This includes the sound of vehicles, loud speakers, airplanes, jets, train horns etc. Noise pollution can cause ear problems or even permanent deafness, especially to older people. The schools which are beside the roads suffer from noise pollution. Students cannot concentrate in their studies. Peoples admitted in hospitals which is near to the main roads also suffer. It also causes brain related problems. Soil pollution (also known as land pollution) is caused when man-made chemicals, such as hydrocarbons, heavy metals, and solvents, get into the soil. These chemicals come from industrial activities and using chemical fertilizers and from improper waste in disposal in leaky landfills. Soil pollution can cause health risks. The chemicals can produce harmful vapors, or they can contaminate water supplies underneath the polluted soil. Plastic pollution is the accumulation of plastic products in the environment that adversely affects wildlife, wildlife habitat, or humans. It is caused because plastic takes thousands of years to decompose or mix in the earth. Cancer, including leukemia may be caused by the contact with soils contaminated with chemicals. Nervous system damage may be caused by the presence of lead (Pb) in soil, and affects especially children. Thermal pollution is the harmful release of heated liquid into a body of water or heat released into the air as a waste product of a business. A common cause of thermal pollution is the use of water as a coolant by power stations and industrial manufacturers. This puts back warm water, and so raises the temperature and decreases the oxygen content of the water. The heat released into the air will cause the air to be warmer which may result in global warming. ↑ "United States Environmental Protection Agency". Greenhouse Gas Emissions. October 6, 2016. Retrieved June 15, 2016. Rutledge, Sarah. "Save the Earth". save the planet today. Weebly. Retrieved April 16, 2018. This page was last changed on 1 April 2019, at 12:34.